Health Savings Accounts (HSAs) are employer-sponsored health plans that were created by federal legislation in 2003. An HSA is much like a savings account and is typically maintained and administered by banks or insurance companies. An HSA offers triple tax savings and can be extremely beneficial to employees should they need to pay off a hefty bill for a medical emergency. An HSA will also cover a variety of health expenses that aren’t covered by traditional employee health insurance. While it sounds great to have a plan that offers such valuable tax savings and a wide array of services, it’s important to understand all of the details of an HSA before determining if it’s right for you. 1. Who can establish an HSA? coverage by any other comprehensive medical plan is not allowed, nor is enrollment in Medicare (the HSA can be maintained after Medicare enrollment, but contributions cannot be continued). 2. Who is an HSA most appealing to? It seems that an HSA would be most appealing to an individual or family that has relatively modest medical care expenses, can afford a high-deductible medical plan, and could take advantage of the substantial tax benefits of a health savings account. It is important for each employee to compare an HSA to other medical plan options. The annual contribution limits for HSA contributions (in 2018, as indexed) are $3,450 (individual) and $6,900 (family). For individuals age 55 and older, additional catch-up contributions are allowed. For 2018 (as indexed), this amount is $1,000. All contributions to an HSA must stop once the individual becomes eligible for Medicare. The most attractive feature of an HSA is the ability to make tax-deductible contributions into a Health Savings Account that can earn interest. 6. Earnings in the HSA are not taxable. You could hold the money in your HSA in cash but you may also have the opportunity to invest it in mutual funds or other securities. That can allow you to grow your savings faster and as an added bonus, those earnings are not considered taxable income. Withdrawals from an HSA can be made on a tax-free basis as long as they are used to pay for qualified medical expenses. If not used for medical expenses, withdrawals are taxable income. If the owner of an HSA makes withdrawals prior to age 65 for non-medical expenses, an additional 20% tax penalty is imposed on the amount of the non-qualified withdrawal. 9. Use it or lose it? Unlike many employer-sponsored savings plans, an HSA allows you to roll over any money that you do not spend by December 31st. That means you can continue to accumulate savings in your account until you need it for health care expenses. There are hundreds of IRS-approved health expenses and some health insurance deductibles and co-insurance are covered. For example, non-cosmetic dental treatments, crutches, hearing aids, laser eye surgery, contact lenses, eyeglasses, chiropractic care, acupuncture, and physical therapy are all covered by an HSA. 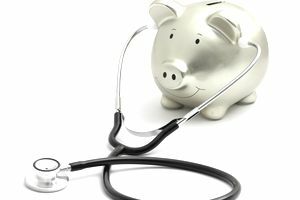 Despite the lengthy list of benefits, HSAs do have some potential drawbacks. The biggest obviously is that if you're not enrolled in a high deductible health plan, you won't have access to an HSA. Even if you are enrolled in a high deductible health plan, that can still be problematic for making HSA contributions. While your premiums may be lower each month, you'll still need to have more cash available to meet your deductible if you get sick or injured and need medical care. The money you may intend to save in your account may be needed to meet your deductible instead. Alternately, any extra money that you have you may prefer to earmark for an emergency fund instead to cover unexpected expenses. Is an HSA right for you? The jury may be out, depending on your health care status and the size of your emergency savings fund. If you can afford a high deductible healthcare plan, an HSA will provide you with the triple crown of tax savings which is a bonus in every taxpayer's pocket. Of course, it's always important to consider the cons as you weigh the pros to make sure it's the right savings choice.